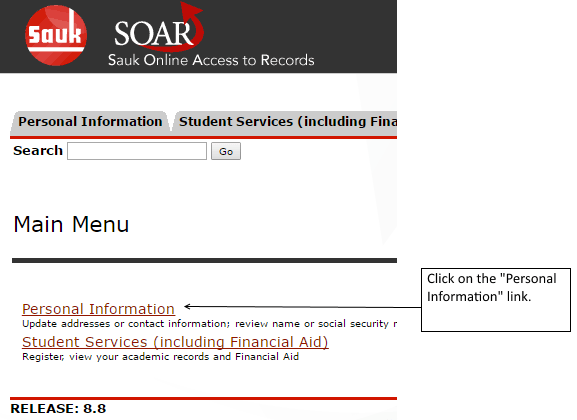 In order to keep your records up to date, receive Sauk related material through the mail, and be notified in emergency situations; it is recommended that you keep you Address and Phone number up to date. Scroll to the bottom and click the down arrow. 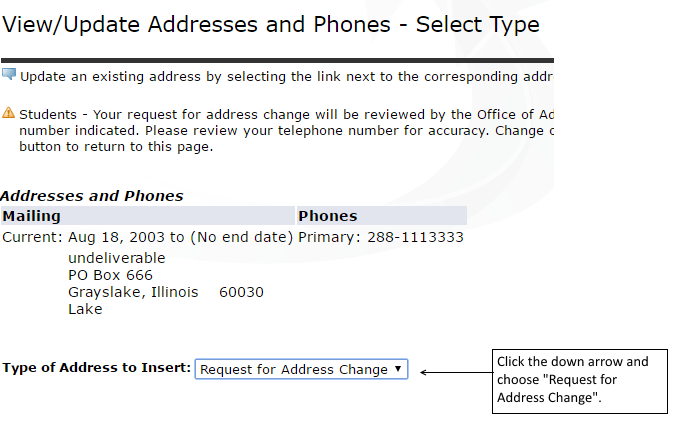 Choose the "Request for Address Change" link. Next, Click the "Submit" button. 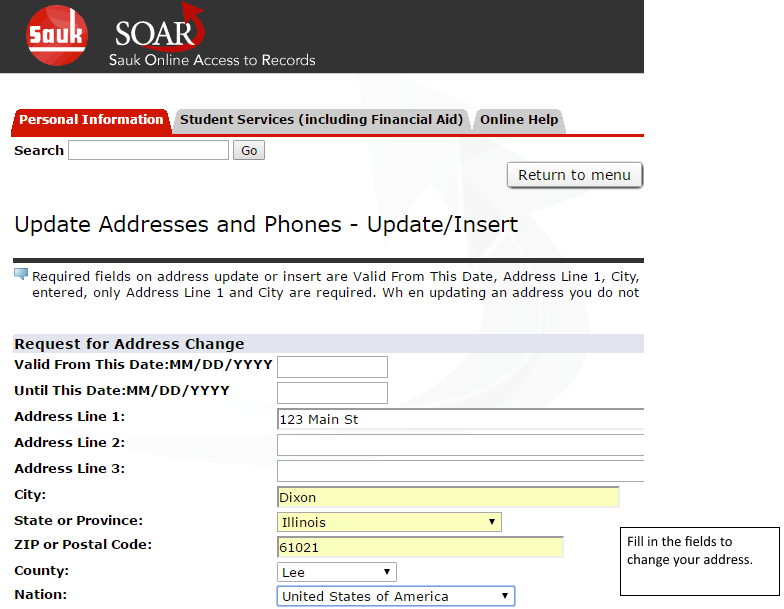 You can update your Address information by filling in the empty fields. 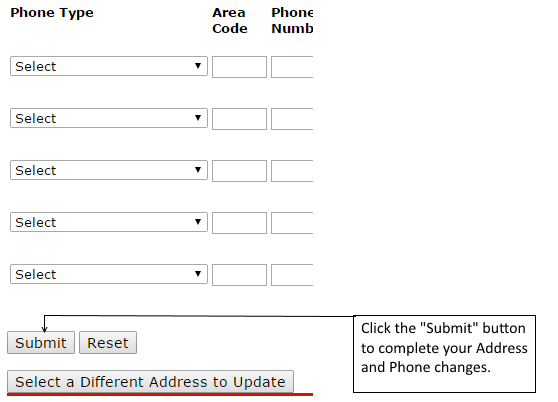 Change your Phone Number by filling in the appropriate fields. 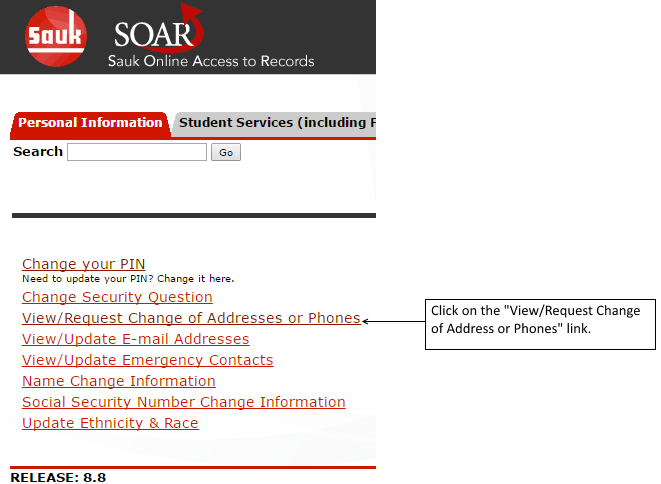 Finally, Click the "Submit" button to update your address and phone number.